There’s always something to watch – and with recent additions Dave, Quest and Home, there are now even more great shows to enjoy! Enjoy TV your way with a wide range of free and pay On Demand players like BBC iPlayer, ITV Hub and Netflix. Hate missing out? Follow our weekly recommendations and you’ll never miss a film premiere or a returning favourite ever again. There’s loads of variety for free and it opens pennies each month to spend on days out rather than expensive subscriptions. The best switch we ever did. 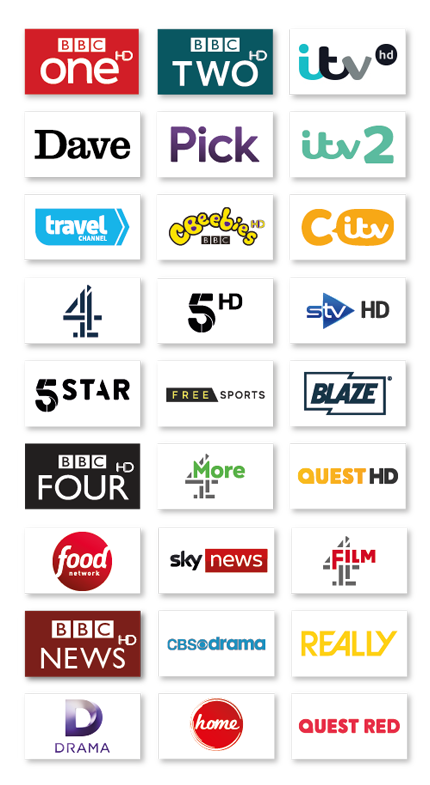 We used to have Sky and Virgin for years and most of the channels we watch are on Freesat anyway. So glad we've got it now! Is it your own dish, or is it shared?